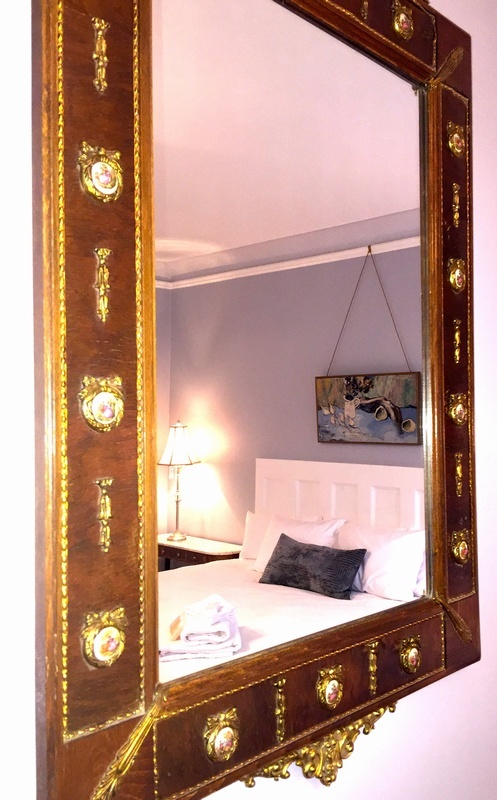 The Grover Cleveland suite has graceful curved walls and three large windows providing generous light. 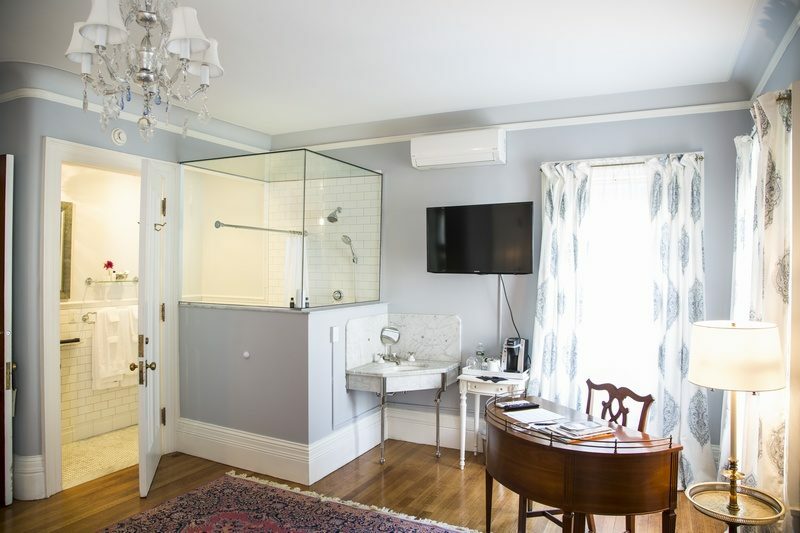 The ensuite bath has heated marble floors and a new and unique, walk-in glass shower. 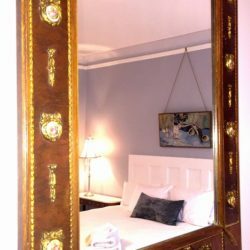 King bed, second floor, hardwood floors, luxurious linens, flat screen tv, wifi, Keurig coffee maker, and Acca Kappa bath amenities. Individually controlled heating/air conditioning system. All suites have ensuite baths. 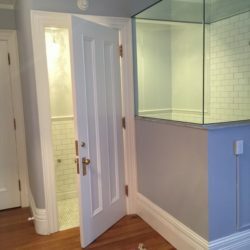 Unique shower area with glass shower area visible from suite. 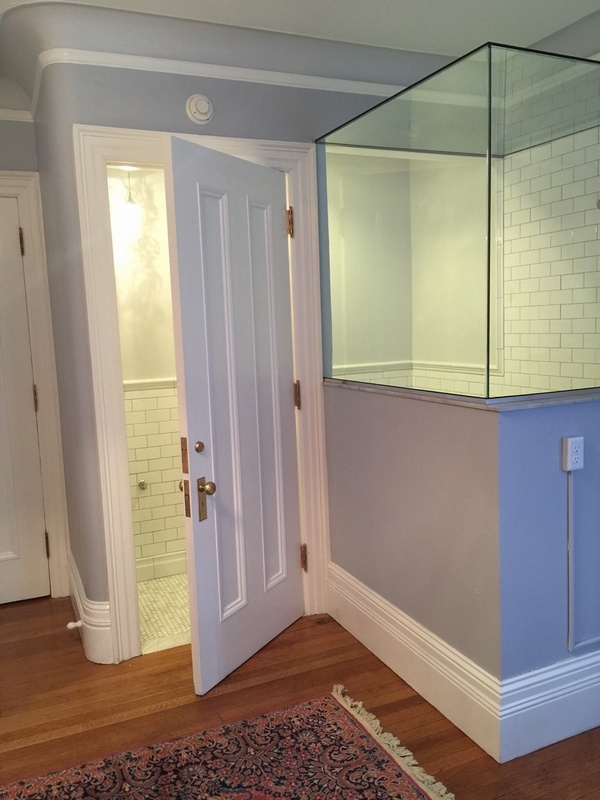 Just renovated marble and subway tile with heated floors.